Some travelers know exactly what they want to do on vacation. Others like a little help from the locals in figuring out what to see and do. For those of you who like the inside scoop, we have all the details on regional favorites and what not to miss while you’re here. 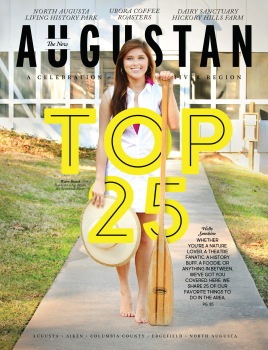 If you want to know the stories behind some of the favorite places and things to do in Augusta’s River Region, make sure you request a free copy of The New Augustan magazine and add a few ideas of your own. Check back with us as the seasons change to see what new tour ideas we’ve cooked up for you. You may find the perfect to-do list to suit your family and friends.